Development teams don’t get it … yet. I’ve talked to many development teams about this [offline] problem, but so many just shrug their shoulders. It’s easy to think connectivity issues “aren’t that bad” when you build and test your apps right at your desk…. Offline support will be a crucial consideration for nearly every future modern application. Unfortunately, our experience shows that offline support is the mobile app feature continually underscoped by developers and over-simplified by stakeholders. Roughly 3 years ago I started receiving Gartner client inquires about CRM apps supporting mobile offline mode access for smartphones and tablets…. I first thought that these were just special case circumstances until the number of inquiries kept growing. Many of our customers need their workers to be fully productive, even when no data connection is available. Imagine you’re a global giant oil and gas company like Phillips Conoco or Royal Dutch Shell. In a company like this, you can have hundreds of employees in the field, conducting critical inspections of oil wells and earth movers around the world. Especially in this type of industry, those inspectors’ forms need to be mobile, and they need to be functional offline. The innovations that allowed us to provide these features have been our secret sauce since we started this business in 2005. Why is the idea of working offline so often an afterthought in the mobility industry? 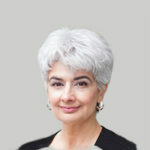 In part, it’s because of how companies think about the mobile workforce. Traditional office workers are becoming increasingly mobile and location-independent — and that’s the mobile workforce that gets most of the attention. At Formotus we largely enable the ‘other mobile workforce’ whose work is not in an office but is mobile by nature: inspectors, service technicians, and others whose work is multi-location. This work was mobile before there were cell phones, and this workforce is for the most part still using paper and clipboards for the bulk of their data collection and workflow processes. 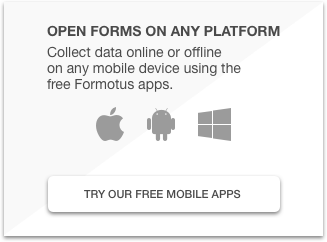 Our commitment to offline-first functionality is evident in the design of our flagship Formotus Pro app. 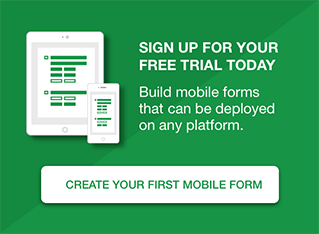 This mobile form client app enables our customers to deploy their own sophisticated data collection forms to their users. Once deployed, these forms equip workers to remain productive without an Internet connection.